These 11 questions focus your children on how to make themselves happy. Eventually, your children will internalize these questions and ask them in their own heads. Then you’ll have given them the gift of happiness, which will make you so (you guessed it) happy. 1. What was your favorite part of today? This is a good question to ask at bedtime, to help your child feel content and happy before sleep. It also instills a habit of focusing on the best thing that happened in any given day rather than the worst. If you make this part of your bedtime routine, it will become second nature. At the risk of sounding shrink-y, an essential part of happiness is being able to notice and express your own emotions. If you can verbalize what you’re feeling, you can make sense of it, you can process it, and you can obtain support from others. This is a great question to ask when your child comes to you with something “bad” that happened, instead of either dismissing it (“that wasn’t that bad”) or fixing it (“let mommy get you some ice!”). It trains your child to be aware of his feelings, and to use that information effectively. 6. How can we look on the bright side? In any TV show, book, trip outside the house, basically any situation at all, there is something to learn more about. And look at you, Super Parent, you already have your smartphone at the ready! So this time use it for teaching your child that life is full of learning opportunities. Happy people are people who are curious and always learning. So when you watch TV and someone says “Bonjour,” you can look up pictures of France or a YouTube song sung in French. When your child realizes that this question means that you’re going to whip out your phone and show them something new and special, they will ask it to you all the time. And that’s how you end up looking at pictures of real estate in Nebraska with your 4-year-old. Don’t ask. Research shows that anticipation of positive experiences brings more happiness than the experiences themselves. Once your child is old enough to realize that tomorrow is not today, start instilling a habit of positive anticipation of small pleasures. A child who is excited all week to get frozen yogurt on the weekend is a happy child, just as an adult who plans a vacation six months in advance is happier during those six months. Bringing your child along to visit a sick relative, or someone recovering from surgery, or to volunteer at a soup kitchen is a wonderful gift that you can give to your child. Your child will feel even more proud of his behavior if he is the one to think up the nice thing that can be done (e.g., baking cookies to deliver, drawing a card). Research shows that giving even releases oxytocin and endorphins, so it’s like a high that your child can become addicted to. Also, involve your child in your charitable activities, as giving charity is a form of altruism that is also linked directly to happiness (and just to being a good person, which you also want for your child). 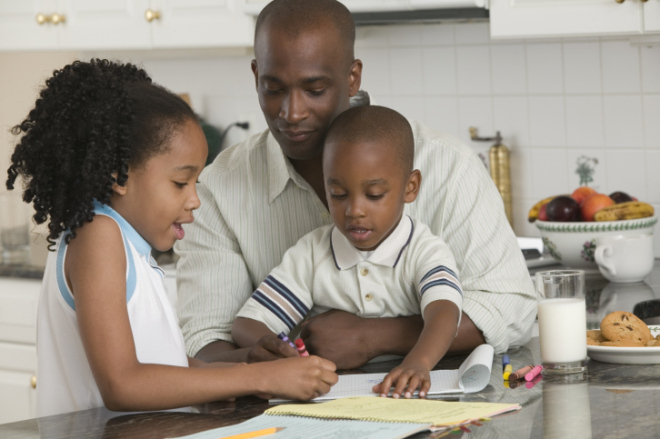 Incorporate a spirit of generosity into your child’s daily life. Whenever you’re out, buy something little for someone else. When you color, make a picture for someone else. Giving things to others makes people happier than buying things for themselves, and enriches interpersonal relationships. Getting outside and engaging in physical activities alongside your child is a wonderful way to get him or her in the habit of not just sitting around. Exercise releases endorphins and is as effective at treating depression as SSRI’s. And the most powerful way that you can teach your child about exercise is to do it yourself. Children whose mothers exercise are more likely to exercise themselves. And sunlight can also help boost mood and regulate circadian rhythms, which means better sleep for your kids, which makes everyone happier. If you direct your children’s attention to the experiences that they most enjoy, they will start to realize that they can choose to proactively increase their time spent in activities that make them feel best about themselves. According to researcher Mihaly Csikszentmihalyi, “flow” is the state where people find an activity so enjoyable and rewarding that they become completely immersed in it, losing all sense of time and feeling completely in the moment. If your child is lucky enough to have found an activity that makes him feel a sense of “flow,” it is helpful for you to point this out and allow your child enough time to attain this state. Note: for many kids this is video gaming, which is actually fine, since a great deal of research points to many psychological benefits of gaming (and anecdotally, I know many people who met their spouses while gaming, and gaming actually brings spouses closer if both participate!). The best case scenario is for your child to find a career that puts him into “flow,” since then, as the saying goes, he will never “work” a day in his life. Visit Dr. Rodman at Dr. Psych Mom, on Facebook, and on Twitter @DrPsychMom.